Throughout 2013 the Wake Forest Museum of Anthropology (MOA) will celebrate 50 years of serving the University and the greater community with a retrospective exhibition and several special events. A student-curated retrospective exhibit of the museum’s history, “Celebrating 50 Years of the Museum of Anthropology,” will be on display from Jan. 15 to Oct. 26. The exhibit features a timeline illustrating the museum’s 50-year history with photographs from the archives and artifacts from around the world. Wake Forest student interns, junior Demone Jackson and senior Kathryn Rohlwing, worked under the direction of Registrar and Collections Manager Kyle Bryner to develop the exhibit. The pair conducted research in the museum’s institutional archives, selected and scanned numerous photographs, decided which objects to feature, composed the exhibit text and created the layout. In the spring, the museum will host MOA Turns 50! — a Birthday Party and Family Day on Sat., March 23, from noon to 4 p.m. The event will feature birthday cake, Chinese dance performances and craft activities from cultures around the world. The community is invited to campus to enjoy an afternoon of free educational fun for all ages. 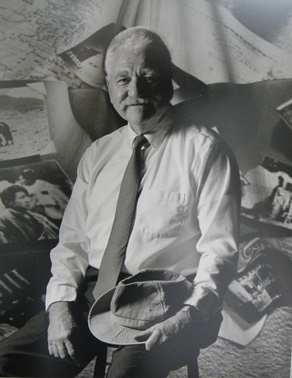 In 1963, E. Pendleton Banks, chair of what was then the Department of Sociology and Anthropology at Wake Forest, founded the Museum of Man to broaden learning opportunities for anthropology students. The museum was housed in the basement of Tribble Hall. The Museum of Man moved to Reynolda Village in 1975, increased its focus on educating the general public and introduced education programs to meet the needs of local school systems. Since that time, MOA’s programs have served more than 320,000 students. Many patrons first introduced to the museum though school fieldtrips now bring their own children to visit the exhibits. In 1987, the museum moved to its current location on the Wake Forest campus and was renamed the Museum of Anthropology (MOA). Relying primarily on donations from collectors, organizations and Wake Forest faculty, students and alumni, the MOA has expanded its collections to include ritual and everyday objects that span the globe and the centuries. The collections currently include more than 29,000 archaeological and ethnographic artifacts. The Museum of Anthropology is open Tuesday through Saturday from 10 a.m. to 4:30 p.m. Admission is free.